The black walnut tree is not only used as a shade tree in landscape design, but it is also grown for its valuable wood and nuts. Several pests can attack the black walnut tree; some cause only cosmetic damage, and others cause significant damage to the foliage (walnut caterpillar) or to the nuts (walnut curculio). The scientific name of the black walnut tree is Juglans nigra L. It is used mainly as a shade tree in landscape design--growing to a height of from 70 to 150 feet. It tolerates most soils, and does well in organically rich, moist, well-drained soils. Black walnut trees emit a toxic chemical called juglone from their buds, nut hulls and roots. Various plants cannot be grown near a black walnut tree due to its toxicity. Some landscape plants that are affected by juglone are azalea, white birch trees, Amur honeysuckle, and saucer magnolia. Several pests can cause significant damage to various parts of black walnut tree. Leaf feeders (walnut caterpillar, yellow-necked caterpillar and fall webworm) are capable of defoliating a tree, the walnut curculio infests the nuts of the tree, shoot moths attack the buds and shoots of the tree, and wood borers such as the ambrosia beetle will attack the trunk and large branches of the black walnut tree. Some pests could infest the black walnut tree--although infestations are not common. These pests include the red spider mite (Panonychius ulmi), the European fruit lecanium (Lecanium coni), the root lesion nematode (Pratylenchus vulnus), and the walnut aphid (Chromaphis juglandicola). The walnut caterpillar is known as Datana integerrima Grote and Robinson. According to the U.S. Department of Agriculture, it infests hardwood forests of eastern North America and has been found throughout most the Eastern states west to Minnesota, and south to northern Mexico. This pest causes heavy defoliation of the black walnut tree and other host trees such as English walnut, butternut, pecan and some hickory species. Feeding/defoliation generally happens at the end of the summer season in August. This defoliation decreases the vigor of the infested tree. If a tree is attacked for two to three years in succession it is more than likely the tree will die. Generally, though, walnut caterpillar infestations do not happen on a regular basis so tree death is rare. The walnut caterpillar has several natural predators and parasites. Usually, they are able to control the number of eggs that are laid as well as controlling the caterpillar when it is in its larval and pupal stages. Chemical control is not recommended due to the presence of these predators and parasites (chemicals would affect the predator and parasite population as well as the walnut caterpillar). These small insects are 1/5 of an inch in length and reddish/brown in color. Another identifying characteristic is the two small white spots that appear on the curculio’s wing covers. The life cycle of the walnut curculio begins in May when the adult female lays eggs on the developing nuts (she lays eggs in May, June and July). As the nuts grow the larvae bore into them, and the nuts prematurely fall from the tree. The walnut curculio is capable of destroying up to 60 percent or more of the nuts on a tree, according to the U.S. Department of Agriculture. To determine if the walnut curculio was present, examine one of the fallen nuts for a small exit hole on the side of the fallen nut. The average homeowner who has only one or two trees should clean up and discard any premature/immature fallen nuts as soon as possible. 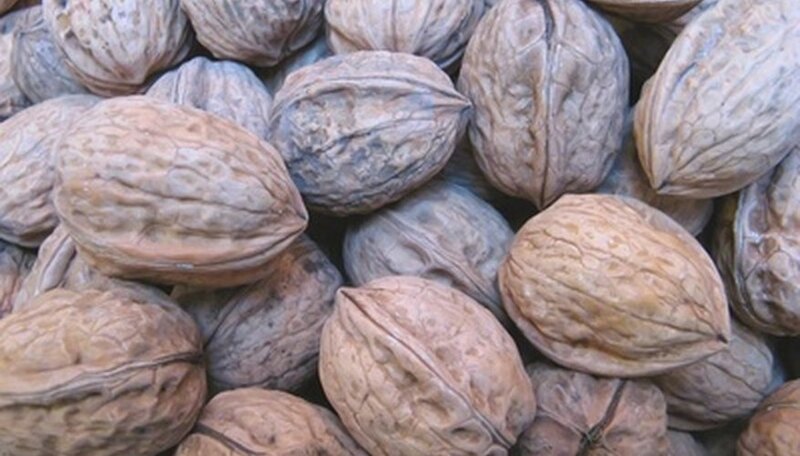 U.S. Department of Agriculture: Insects Attacking Black Walnut in the Midwestern U.S.